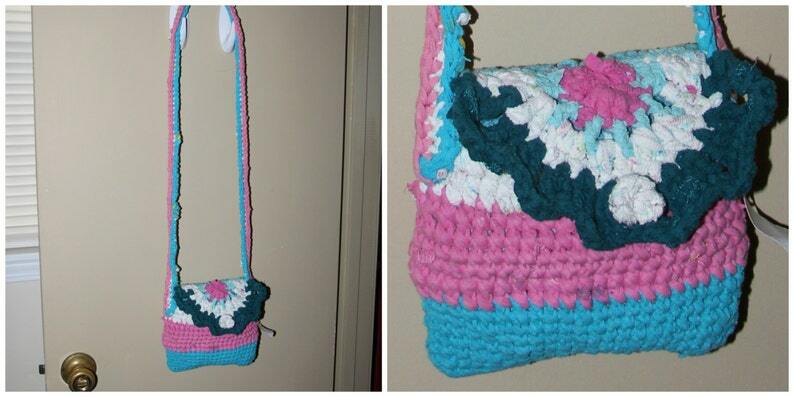 Cute cross body purse crochet made from old t-shirts. The strap measures roughly 22" long. The purse is roughly 8" wide by 8" tall.